The NRC’s been closely observing the Tennessee Valley Authority’s work in completing Unit 2 at the Watts Bar Nuclear Plant near Spring City, Tenn. Our meeting tonight will discuss where TVA stands in its effort to get an operating license for Unit 2. If you can’t make it in person, we’re offering a teleconference and Web-based access to the meeting presentation. You can get the phone and webinar details from me or my NRC co-worker Christopher Even. For those who can attend, we’ll be available to answer questions and discuss issues with local residents and interested members of the public. During the meeting we’ll lay out the inspections and licensing activities the NRC must complete before we could decide whether Watts Bar 2 qualifies for an operating license. Some of our senior managers will explain how we’ve reached this point and what we need to see before we could conclude that the plant is safe to operate. While we’re still reviewing a few issues, all the information we’ve seen so far indicates TVA is on track to meet the safety and security requirements for a reactor operating license. 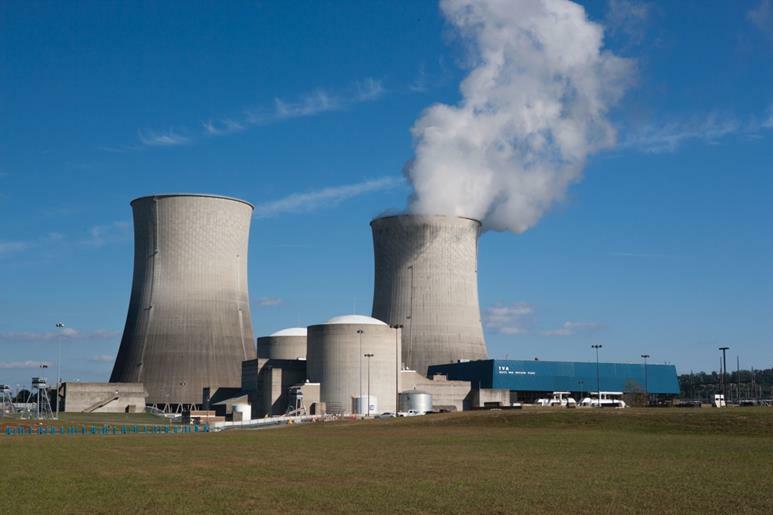 If we issue Watts Bar Unit 2 an operating license, TVA would still have to load fuel and begin a series of tests during plant startup and a gradual increase in power output. The NRC would continue inspecting and overseeing the completion of these startup activities prior to Unit 2 generating full power and starting commercial operation. If licensed, Unit 2 would be the first plant to begin commercially operating in the U.S. since Watts Bar Unit 1 started in 1996. For more information please visit the NRC public webpage on Watts Bar Unit 2. Remember Jurassic Park. Resurrecting dinosaurs is not always wise. Uhm, yeah, except for those who we’ve lost to … Seriously, did you know #nuclearizedwater from fuqafukushima does not freeze (at least that’s what They say), and what that means to a closed quantum system like water? Safety first has been the major motivation at all (US) nuclear plants for a long time. You are safer working at a nuclear generation plant than as an accountant in an insurance company. Apart from that, how deadly is your kilowatt, it is the least deadly form of electricity per kWh. Yet another “put the cart before the horse” situation where the NRC says everything is wonderful when in reality it is N☢T. Tell the TVA, if they don’t know what they are going to do with the nuclear waste from their operations, that they are going to have to WAIT for their licensing until we have #RealNuclearWasteConfidence — Safetfy First is long, long over due for this industry.